With Apple’s most recent operating system update, you now have the ability to check your battery’s health and disable iPhone battery throttling. Continue reading to learn how you can check your beloved iPhone’s battery performance. Well, Apple’s newest operating system, iOS 11.3, has finally been released and indeed holds the key to checking your iPhone battery’s health. Additionally, the tech giant has created an option for users to disable iPhone battery throttling. First thing’s first: To utilize this new battery health feature, you must update your operating system to iOS 11.3. To update your operating system, go to Settings > General > Software Update. If your battery capacity is below 80 percent, you can still disable iPhone battery throttling; BEWARE- the likelihood that your iPhone will unexpectedly shutdown increases dramatically. You may also notice additional text that explains how degraded your battery is and urges you to visit an Authorised Service Center. For further assistance and iPhone battery replacement services, please reach out to us at Mobile Phone Repairs Port Macquarie. Our team has experience replacing countless iPhone batteries, as well as repairs for many other common issues such as cracked screens, water damage, and faulty charging ports. Enter your email address and tap the option "Forgot Apple ID or Password?" If you’ve forgotten both the ID and the password, you can tap on "Forgot Apple ID", and then enter your email address and name in order to receive the Apple ID. If you don't have the Apple ID, you can try to reset iPhone without Apple ID. 5. Now you can reset your password. Another possible iCloud password recovery method you can try is logging into Apple's ‘My Apple ID' page to recover iCloud password. Click on "Forgot ID or password?" You will now need to either answer you security questions, or you could retrieve your Apple ID via email(you will obviously need to have current access to this email or know the email password to gain access to it. If you choose ‘Email Authentication,' Apple will send an email to your backup email address. Once you check the appropriate email accounts, you'll find a message from email called "How To Reset Your Apple ID Password." Follow the link and the instructions. You can now recover iCloud password using one of two methods, either through a trusted device, or using your phone number. If you choose the option "Use trusted phone number" then you'll receive a notification on your phone number. This will have the steps you can follow to reset password. If you choose the option "Reset from another device," you'll have to go to Settings > iCloud from your trusted iOS device. Tap on Password & Security > Change Password. Now you can enter the new password. 1/ You know you can trust our team to be honest, and always offer the best advice to our clients. We offer free quotes and if we don't think it's worth fixing we will not waste your time or money. We are happy to help you find the best suited product for you even if we don't stock it. We will always call you to advise of an issue and get the go ahead before charging you for additional services on your device. 2/ We offer a great friendly service and we are approachable and helpful. You will be treated with respect and courtesy in our stores and we would hope that you would offer us the same in your dealings with us. We appreciate good clients. 3/ We pride ourselves on only using quality parts not aftermarket. 5/ We have an open book pricing policy. All our pricing is on our website so there are no surprises when you get to the store. We are also happy to quote on Facebook or online. What you see is what you get with MPR. 6/ You won't see a fancy fit-out in our stores. We are a workshop where everyone is welcome and this enables us to keep our costs down so that we can offer you the best pricing. 7/ Discounts on multiple repairs. If you have multiple repairs done at once we can offer you a bundle price which will lower the price of additional services. 9/ We are happy to order in parts and accessories which we may not usually stock and will charge you the same prices you find on comparable accessories in store. A special order is not charged at an additional price it's all part of the service at MPR. And the same goes for refurbished handsets which we can order to your specifications. 10/ We have 3 locations and working on more to bring you the best service and pricing possible. We try to find a location that is easily accessible and with ease of parking for all our clients. 3. Scroll down, tap Backup, and make sure that iCloud Backup is turned on. 5. Make sure that the backup finished: Tap Settings > iCloud > Storage > Manage Storage, then select your device. The backup should appear in the details with the time and backup size. 6. Visit www.icloud.com enter your username & password and verify your data has been saved. Anything that has been backed up should be visible. 2. If a message asks for your device passcode or to Trust This Computer, follow the onscreen steps. If you forgot your passcode, get help. 3. Select your iPhone, iPad, or iPod when it appears in iTunes. If your device doesn't appear in iTunes, learn what to do. 4. If you want to save Health and Activity data from your iOS device or Apple Watch, you need to encrypt your backup: Select the box called Encrypt [device] backup and create a memorable password. 5. After the process ends, you can see if your backup finished successfully in iTunes Preferences > Devices. You should see the name of your device with the date and time that iTunes created the backup. If you encrypted your backup, you should also see beside the name of your device. 1. Plug your Samsung device into the computer via USB cable. Upon the first time connecting your phone to the computer it should walk you through how to set up Samsung Kies. Once successfully connected choose “Backup & Restore” option and click “Data Backup”. 2. Choose the data you need, or tick all the data. Once selected click the “backup” button at the top-right corner & start backup process. Press the “Complete” button to end the process. 1/ How do I save battery life? You can save battery by shutting down background apps, turning off wi-fi & bluetooth when not in use, turning down your screen brightness (only seems like something small but is a big battery drainer), shutting down your GPS or location services and if your really in need of saving battery some phones have ultimate power saving mode which you can activate which shuts down everything except basic options like SMS & phone calls. 2/ What's the best case to use? In my opinion your best options are either Otterbox or a leather wallet case, however, no case is failsafe if you throw it under a bus you are still going to break your device. 3/ Does tempered glass really work? 4/ Which is better Android or Apple? Back to the age old 'holden v's ford' debate and in my opinion is entirely personal. 5/ Do updates really help? Yes, updates contain bug fixes for previous problems. Doing these updates regularly will help prevent small glitches from happening. Assistive touch appears as a square on your screen with a circle in the middle, similar looking to the home button. See picured below. Use the Backup & restore application to make backups of content to a memory card or a USB storage device. Select the destination to which you want to backup. Select the data types that you want to back up. In this technologic age it can be very difficult to stay on top of our young ones use of technology. In addition to monitoring your child's usage and using an app such as Ourpact.com to restrict usage, if they use an iPad/iPod/iPhone please utilise the restrictions options in settings. This facility has options to help with access to adult content, limit web searches, allows you to stop adding friends in app or making in app purchases. It also has options for different age limits along with restrictions for adding/removing games and explicit content. Please see the following instructionson how to enable restrictions. To access Restrictions, select Settings > General > Restrictions. By default, Restrictions is disabled. To enable it, select Enable Restrictions. You will be prompted to enter a new 4-digit passcode that will only be used to access Restrictions. passcode will be able to make changes to the restrictions and potentially disable them without your knowledge. to allow access to Safari or the Camera, you can disable the app and it will be hidden from the home screen. You can disable access to install or delete apps, as well as the ability to make In-App Purchases. If this option has been disabled within Restrictions In-App Purchases will not be possible. You can customise the ratings of music & podcasts, movies, TV shows, apps and books that can be viewed on the device. The same restrictions also apply to the iTunes Store, so movies of a restricted rating cannot be purchased or previewed. The same type of restrictions can be applied to music and TV shows, allowing you to block access to any music or podcasts containing explicit content or TV shows that display a caution. For books purchased through the iBook store, you can filter any content that contains explicit sexual content. allow access to unfiltered content. Siri can be completely disabled. If you'd prefer to still have Siri available, you can filter explicit language and also prevent it from performing web searches and providing search results. Using Restrictions you can enable adult filtering by selecting Limit Adult Content, blocking access to sites that may not be suitable for children. to take it a step further, you can select Specific Websites Only, which is pre-populated with some well known family-friendly sites. You can add additional sites by tapping Add a Website... or edit the list by selecting the Edit button. With filters enabled, any site that is blocked will be met with a warning, advising that the site the user is trying to access is blocked. If the site should be allowed, you can tap Allow Website. iOS will then ask for the Restrictions passcode and then add the current sites to its list of approved websites. Game Center can be restricted so that multiplayer gaming is not allowed, additionally, you can prevent the addition of friends within Game Center. With the return to school and the need for more device integration into education you may be finding it difficult to help your child manage their screen time. As we all know this is a very important parenting role these days with studies linking excessive screen time to learning and behavioural difficulties, particularly in boys. Problem is we are all so busy and if the kids are happy and quiet sometimes we don't notice just how long they've spent on their devices or sometimes they may start out on it to do their homework and end up entertaining themselves while we are getting on with our chores. Let's be honest sometimes it feels like it's not worth the argument today! With this in mind we wanted to share with you the discovery of an app which has helping in our house for about a year now. We have shared it with family and friends and on our facebook page but thought it deserved more recognition as it's been an invaluable tool in our house with teens through to small children. Ourpact.com is a fantastic app for parents/carers and their young ones. It gives you the option to control your children's access to devices with the touch of a button ad even schedule times when you would rather them not have access to their device. There is now a small monthly fee involved with the use of multiple devices but when we weigh up the small cost for the assistance it's given us it is well worth it in our eyes. The basic idea is that you connect your childs device to your device which acts as the control centre (so make sure your device is password protected so your don't have any cheeky little ones making changes without your knowledge). From the control centre you can access each linked device to set up scheduled down time, we have set ours to go off at the specific time in the evening and turn back on at a allowable time in the morning. One schedule for the weekdays and another for the weekend. It also allows you to allow your child access when you feel they need or deserve it during a scheduled period or block their devices on demand for a specified amount of time or indefinately. The basic premise of the app is that once it's activated all the apps which didn't come factory standard on your childs device are removed from the device for the chosen period. It does still allow them to access their phone calls and sms and other basic features but used in conjuction with the 'restrictions' feature on Apple devices other features may also be managed. 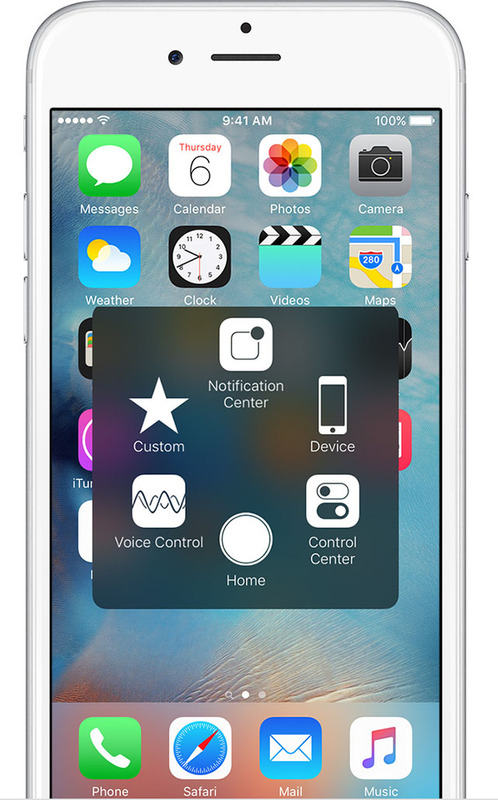 Keep an eye out for our upcoming information on how to use the 'restrictions' feature for your Apple devices. As a service to our customers who are playing the role as parents we will be reviewing apps to help with our important role as the caregivers and educators of our future generations, this space for more helpful tips keep an eye out on our facebook, instagram feeds and on this page for more useful information. Please note that we are not affiliated or endorsed by any of the entities we are promoting. 1 month warranty on all small parts including but not limited to, main board, external buttons, charger ports, headphone jack and battery. Refunds will only be issued for D.O.A Phones; we must be notified within 48hrs if you receive a D.O.A handset, if we’re not notified it will fall under the normal warranty procedure for repair. Refunds will not be issued for change of mind or if phone has signs of Physical Damage, Water Damage or altered software. All warranty repairs must be returned to Mobile Phone Repairs Port Macquarie, the repair process can take up to 10 business days, it is the buyers responsibility to pay for registered return post. Receipt of purchase must be provided to claim warranty. Physical Damage, Water Damage or altering the software will void warranty. 12 month warranty on all small parts including but not limited to, main board, external buttons, charger ports, headphone jack and battery. Refunds will only be issued for devices deemed to be unrepairable after having attempted repair this may apply to parts and/or labour at the discretion of the repairer, the repairer must be notified within 3 days of repair if attempt to repair has failed. If we’re not notified it will fall under the normal warranty procedure for repair and no refunds will be issued. Refunds will not be issued for change of mind or warranty if phone has signs of Physical Damage, Water Damage or altered software. All warranty repairs must be returned to Mobile Phone Repairs Port Macquarie, the repair process can take up to 10 business days, it is the buyers responsibility to pay for registered return post or return to the store. Physical Damage, Water Damage or altering the software will void ALL warranty with no exceptions. All warranty is at the discretion of the repairer. Mobile Phone Repairs will not be liable for damage which has occurred prior to repair or if not associated with repair.